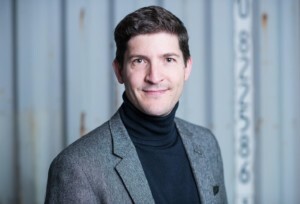 Fusion – the Swiss FinTech business accelerator – exists to shape innovation in financial services by combining up-and-coming tech talent with Swiss state-of-the-art financial know-how. As a Fusion member, Notz Stucki is actively involved in the process. Follow our series “7 questions to a start-up” to get a feeling of who are the participants of the accelerator Season 4! I am Ralf Huber, co-founder of Apiax. I have over 16 years of legal and compliance experience in the financial industry. And I have always been passionate about standardization and the use of technology to simplify the demands of modern legal and compliance work, which obviously played an important role in why I co-founded a RegTech startup. 2/ What does your company do? We build the most powerful tools to master complex financial regulations digitally. We give financial institutions access to machine-readable rules on the most pressing regulatory questions and allow them to customize, manage and deploy these rules effortlessly. Our cutting-edge technology provides full transparency and control over rules in action and empowers financial institutions to serve their clients more efficiently than ever before. Our clients use our solutions in different processes. One example of how our software can be embedded into a client’s value chain is an automated pre-trade check. In this case, all trades executed on an advisory basis are checked for necessary parameters such as suitability, AML or cross-border regulations. The digital rules we offer can also be used separately via an intuitive app to give relationship managers the ability to query our platform solution around the clock when questions or uncertainties arise about compliance questions. 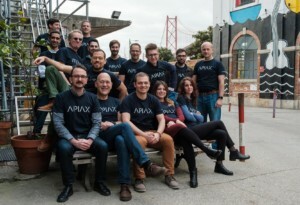 3/ What’s the founding story behind Apiax? I met my co-founders in 2016 through mutual friends and we immediately recognized our shared passion. From very different perspectives – compliance, technology, and product – we wanted to tackle the same question: how can compliance be mastered in the 21st century? 4/ What was your proudest moment in your company’s history so far? There are many of them. One of the most recent highlights in our company’s history is certainly winning the Swiss Fintech Awards 2019. It was very satisfying and rewarding to be recognized for our continuous efforts over the past years, especially given the very high profile of the award. 5/ What’s the vision behind Apiax? Our vision is quite bold. Essentially, we want everyone to have easy access to reliable answers to legal questions, worldwide. For the moment, we focus on financial institutions. We want to make compliance lean, easy and efficient again. Everyone that works in a bank, a wealth manager or an asset manager should always know exactly what they are allowed to do – and what not. 6/ What’s your biggest challenge right now? A major challenge for us is the careful management of time and resources. Efficiency and effectiveness are crucial to doing the right thing as well as doing things right. 7/ Is there any inspirational saying or words of encouragement you want to share with other creative/disruptive professionals?